After 10 years of exercising daily at The Bar Method, I began to explore other movement therapies. It wasn’t that I had become bored with my routine – rather, I had gone from being “super fit” for my age, to struggling with a repetitive motion injury in my hip. While I was able to figure out why (I was over-developing my dominant side), none of my Bar Method programs could help me with what to do. Overdeveloped dominant side is a very common injury, but it is hard to fix yourself once you are “lopsided”. Much of movement therapy is about finding the right program for you, led by someone who understands your needs and abilities. 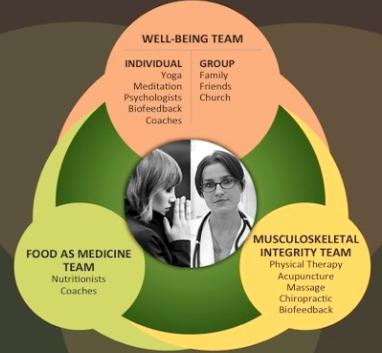 It takes an experienced instructor, one who will both understand the complexity of the musculoskeletal system and customize your program accordingly, to earn a spot in your musculoskeletal care team. Through trial and experimentation, I was able to find the best fit. 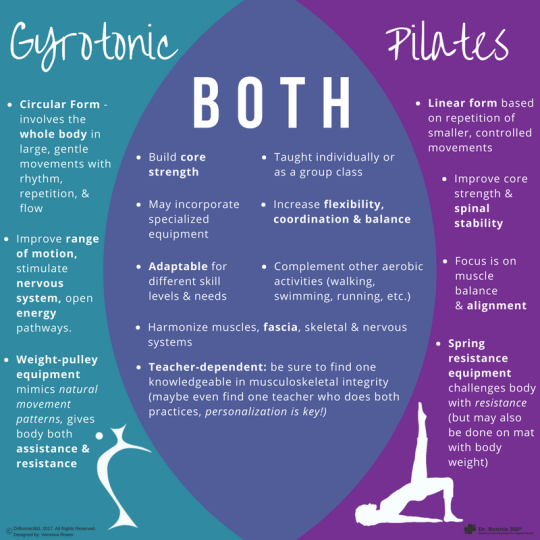 I rediscovered my balance with new exercises to build my core strength through a combination of Pilates and Gyrotonic. My chosen Pilates/Gyrotonic instructor experiments along with me – she tailors exercises to my unique needs and has even referred me to a yoga therapist for gait therapy. I do something different every day. 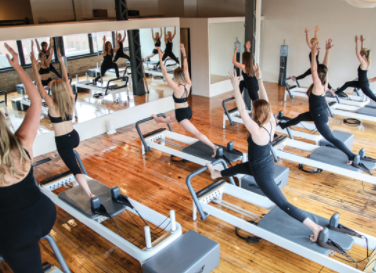 Created by Joseph Pilates in the 1920s for boxers and dancers, Pilates spread through the ballet community via George Balanchine and Martha Graham, and surged in popularity in the 1990s. The practice consists of controlled, often-subtle movements that emphasize strengthening the core – the deep torso and pelvic muscles that provide the “powerhouse” to the arms, legs and neck. Sequences of relatively simple, but not easy, repetitive exercises are combined to exert the muscles, mainly through flexion, extension, and rotation. Pilates works as a system; all of the exercises must be performed in order to obtain full results. Pilates can be done on a mat or floor with one’s body weight or with specialized equipment for added resistance. Since it is not an aerobic exercise, Pilates should be supplemented with walking, running, biking, or swimming. However, it does provide some strength training. Emphasis is placed on core strength, muscle balance, and posture. Listen to Pilates experts describe the practice here. Pilates exercises are gentle on the joints and can be adapted to fit our individual needs and abilities. The exercises should most likely be modified for participants with unstable blood pressure, osteoporosis, blood clot risk, or other health problems. There are practitioners and coaches who focus on these specialities if you seek them out. We don’t need to be serious athletes or dancers to successfully participate, we just need to have open minds to experiment with the techniques. Healthier blood circulation and lower blood pressure result from better posture and breathing and reduced stress. Pilates may reduce chronic pain and back pain more so than minimal physical exercise intervention, by developing abdomen and lower back strength and stability. Clients with fibromyalgia may reduce symptomatic aches, pain, and stiffness through modified Pilates programs focused on gentle stretch and core stabilization. Pilates exercises have been shown to positively impact health-related quality of life and reduce joint pain intensity in individuals with juvenile idiopathic arthritis. Gyrotonic integrates elements of dance, gymnastics, swimming, yoga, and Tai Chi. Specialized equipment is used to guide wide-range, circular movements, based on natural movement patterns and adjustable to individual needs. Gyrotonic promotes balance, strength, flexibility, and efficiency through spiraling, elongated movement. Each movement flows into the next and focuses on 1) exploring the natural range of motion for joints and 2) taking the body beyond current limitations. Gentle movements harness rhythm, repetition, and flow. Experienced trainers offer both group classes and personalized sessions adapted to fit the needs of all ages and abilities, whether a client is seeking to improve rehabilitation or athletic performance. Listen to an experienced Gyrotonic trainer explain the practice here. I have finally found the movement therapy blend that, for the time being, best alleviates my chronic pain. 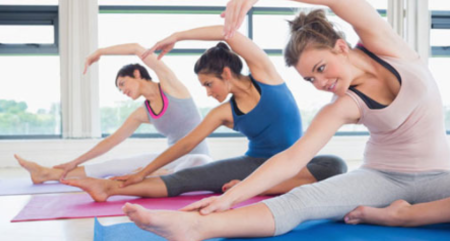 Feldenkrais on Wednesdays, Gyrotonic and Pilates on Tuesdays, Yoga Therapy on Thursdays – it is a diverse but personally effective assortment. My physical therapist recently asked who is coordinating this movement therapy plan. The answer is, “Me”! But even with coordinating our own care, we must prioritize choosing the right practitioners. The ideal movement therapy practitioner has experience working with difficult musculoskeletal issues and experimenting with multiple practices, whether they currently use them or not. It may have taken time to find them, but my movement therapy plan would not be successful without open-minded, professional partners on this journey!